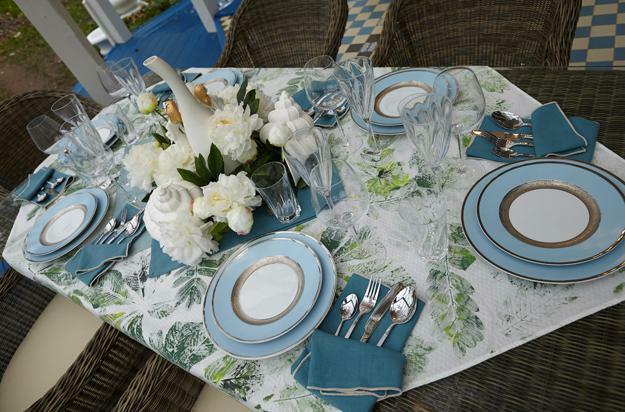 White and turquoise blue gazebo decorating looks fresh and very bright. 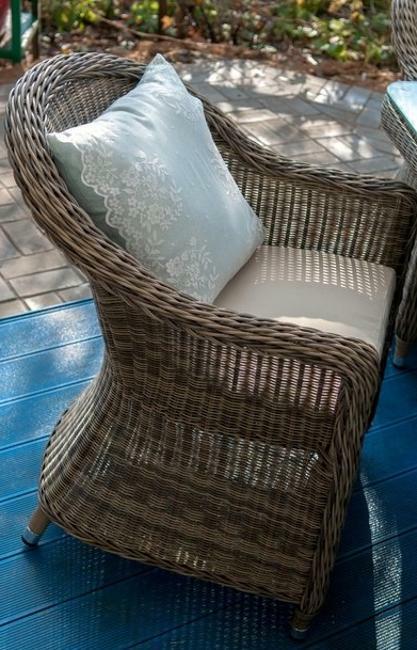 White and turquoise blue color schemes are excellent choices for outdoor home decorating. 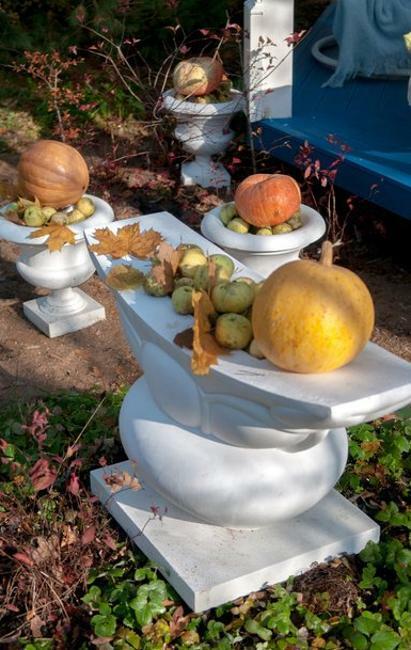 White and blue color schemes look bold and stylish, enhancing outdoor home decor and adding strikingly beautiful contrasts to yard landscaping. 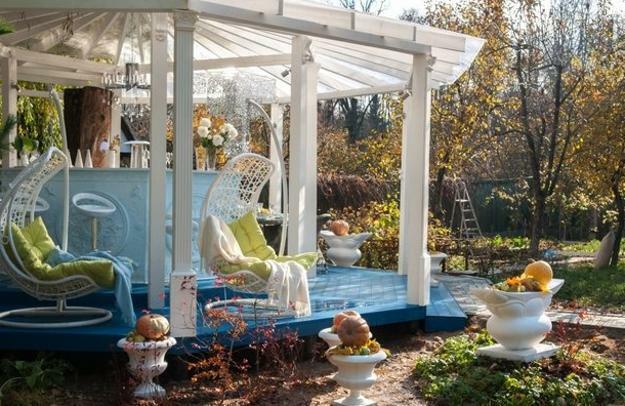 The art of decor in vintage style, painting white and blue color details come together creating this fabulous wooden gazebo that is comfortable for a family. 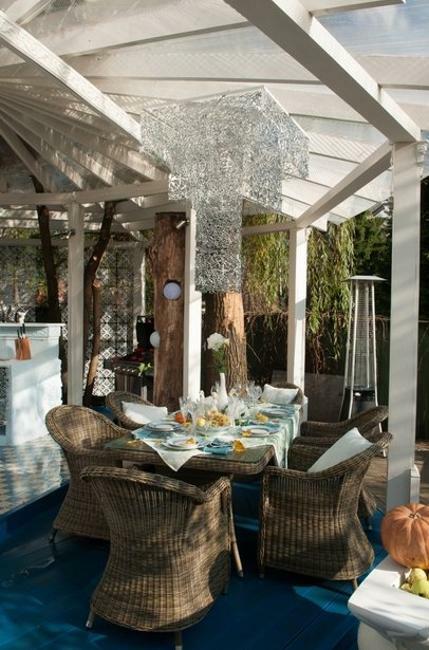 Some amazingly crafted elements and a fusion of style turn the wooden gazebo into a gorgeous centerpiece for yard landscaping. 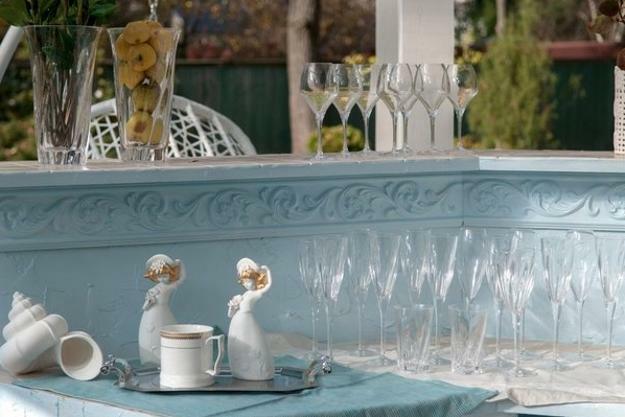 Gazebo decor in white and turquoise blue color is versatile and spectacular, suitable for any season and yard landscaping style. 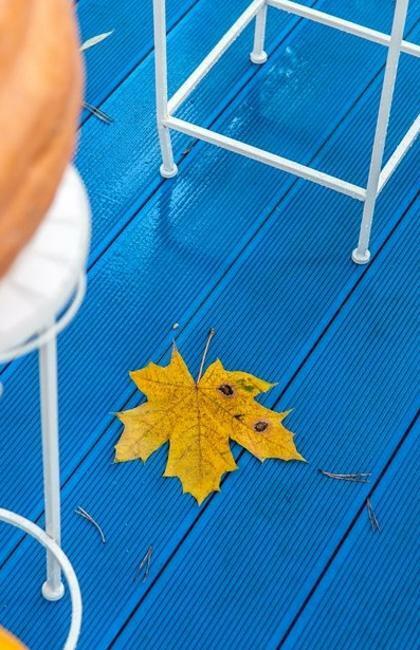 The turquoise blue color and bright summer flowers, colorful fall leaves or fresh spring grass create spectacular color schemes. 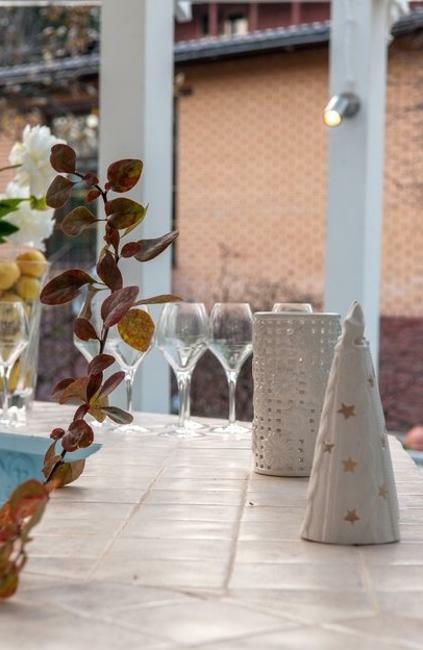 White decorating ideas and elements in blue color create harmony with winter snow and brighten up gloomy days with gray clouds. 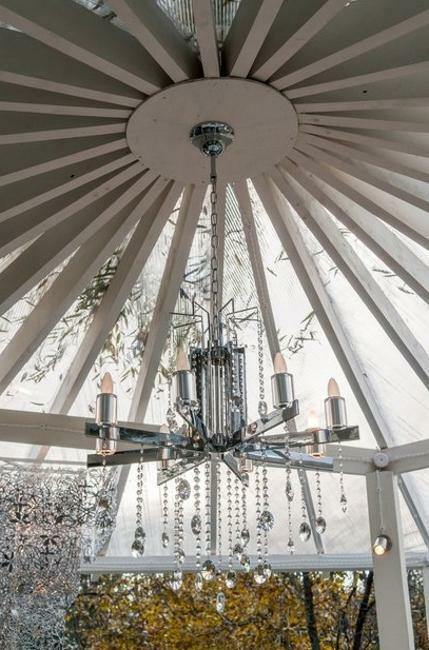 A lace-like modern lighting fixture and a traditional crystal chandelier, comfortable outdoor furniture and modern bar stools, classic details and vintage decor accessories create a fascinating mix of old and new. 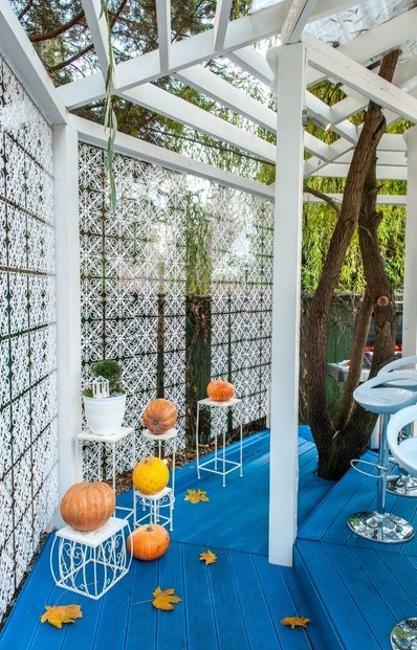 White china and bright white paint color is blended with floor tiles and floor boards in turquoise blue color, adding energizing contrasts to yard landscaping. 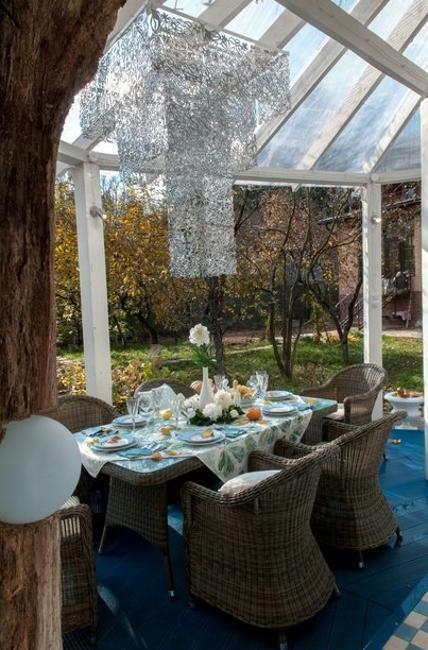 Spring grass, summer flowers or colorful fall leaves just increase the effect and adorn the wooden gazebo, enriching the outdoor home decorating color palette. 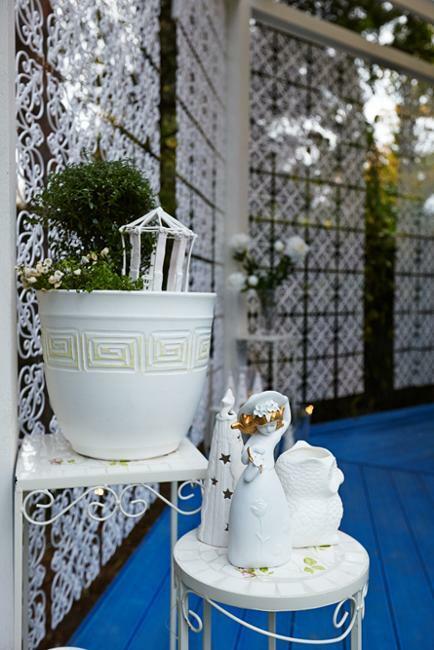 Designed and decorated by Russian architect and landscape designer Yevgenya Mikhailova, the wooden gazebo reflect the Russian love for white and blue color combinations. 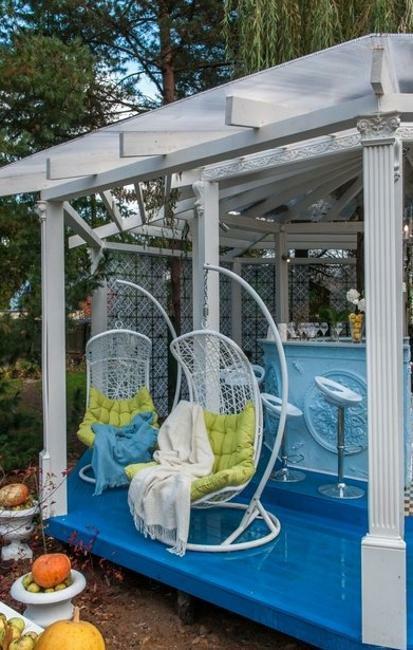 Like famous Russian porcelain decorated with cobalt blue paintings the wooden gazebo decor looks delicate and esthetically pleasing, giving elite character to yard landscaping. 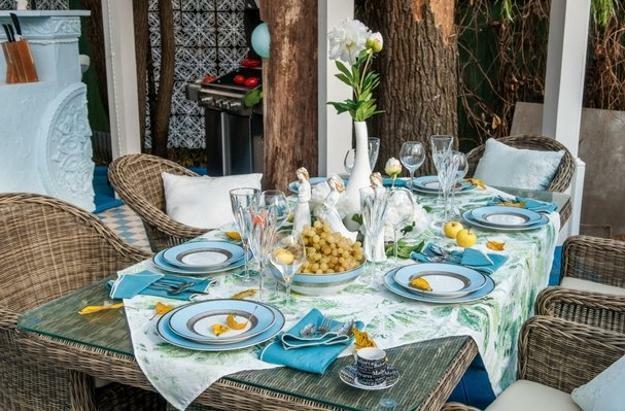 Turquoise blue and white decorating ideas, including paint colors and decor accessories in blue and white look elegant and chic, creating a luxurious and bold place to rest and enjoy outdoors in any season. 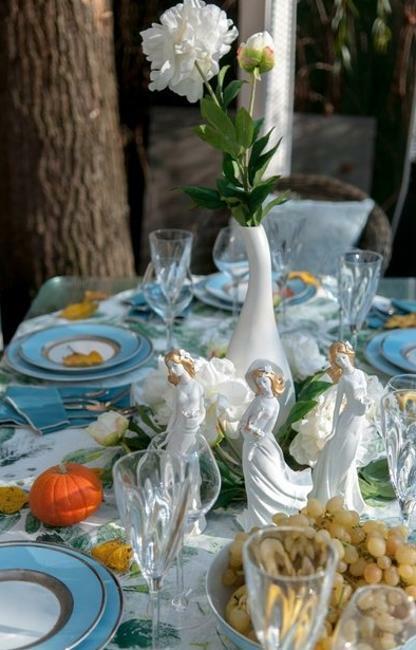 Charming lace on decorative pillows in light blue colors, white porcelain tableware, figurines and vases emphasize chic style of the dining table decoration. 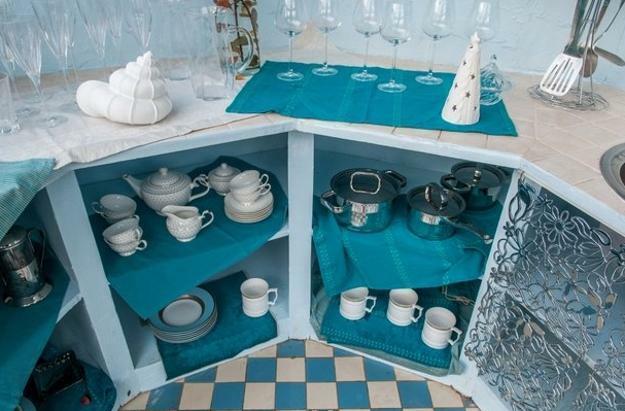 Light blue color looks very plesant with natural green color shades and white decorating ideas.